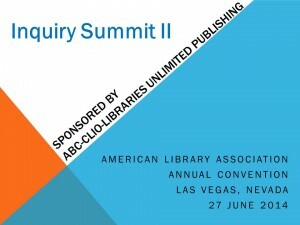 Along with school librarian leaders Liz Deskins, Violet Harada, La Dawna Harrington, Paige Jaegar, Mary Keeling, Annette Lamb, Rebecca Morris, Olga Nesi, Rachel Wadham, and Joyce Valenza, I had the privilege of participating in the second annual Inquiry Summit sponsored by ABC-CLIO/Libraries Unlimited. Sharon Coatney, senior acquisitions editor, facilitated the meeting, and her colleagues Marlene Woo-Lun, Kathryn Suarez, and Jen Psau provided support. One of the activities in which we engaged was small group brainstorming to respond to three questions: 1. What are the best strategies for implementing inquiry learning in schools? 2. How do we train K-12 educators/administrators? What materials do we need? 3. How are the Common Core State Standards changing the need/intent to implement inquiry learning? For me, the responses to the first question were the most relevant to the topics we discuss here on the Culture of Collaboration blog. Those in the room seemed to agree that working within a coteaching structure provided the best support for inquiry learning. This structure allows educators to model the process with and for each other as well as for students. All educators involved must have a shared inquiry learning vocabulary that can best be taught, learned, and reinforced in coteaching situations. Educators must also share a value for the time that inquiry learning takes. Educators and students must have permission to experiment, fail or succeed, and try again with new evidence or in new contexts. Our colleagues, be they librarians, educators serving in other roles, or administrators, must see inquiry in action in order to understand it and experience the value of this process. 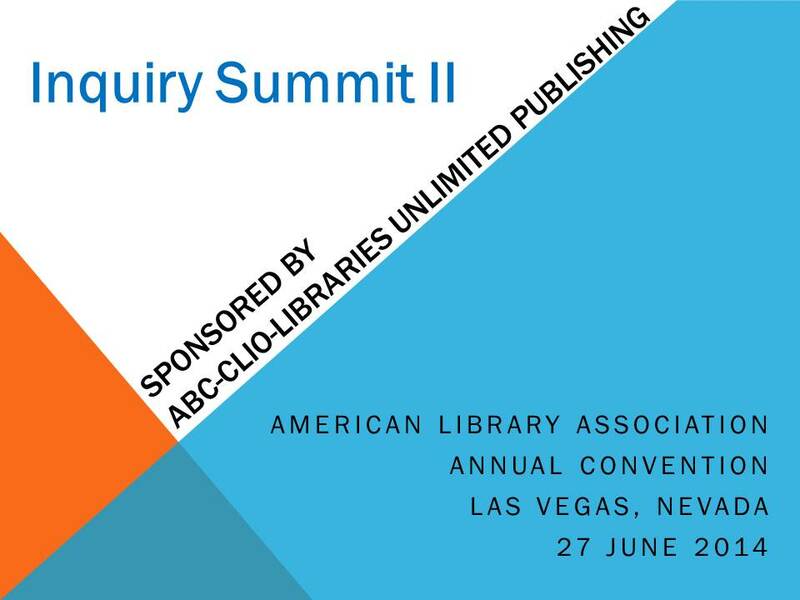 As school librarians, we must demonstrate the need for inquiry learning as a lifelong learning process that students can and will transfer to other learning environments and apply in their careers, family, and civic life. We must also help others value the lifeskills and dispositions that students learn and practice as they engage in the deep learning afforded by inquiry. In Thursday’s post, I will share an example of an effective professional development opportunity facilitated by Dr. Leslie Maniotes earlier this month for the Denton Inquiry 4 Lifelong Learning Initiative. Please stay tuned. As a teacher or teacher librarian, how often have you heard, “Oh you are so lucky, you have the summer off!”? Of course those are the folks who are on the outside looking in. Those of us in the trenches know otherwise. 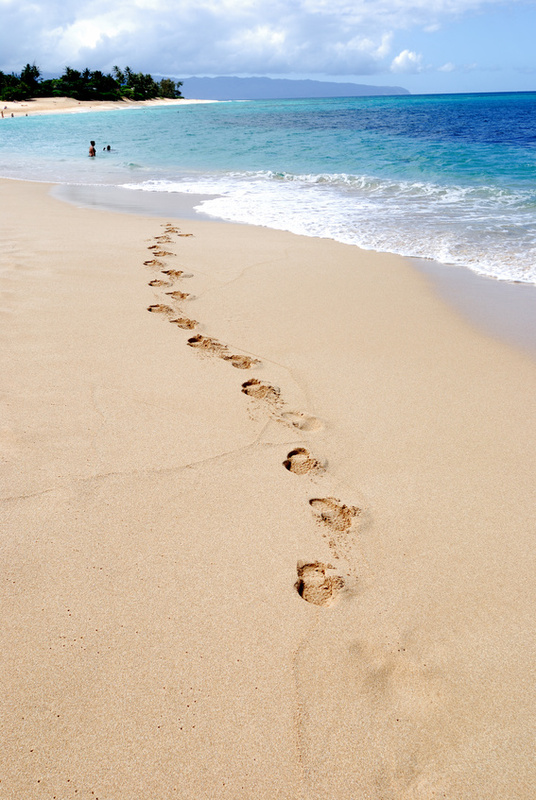 Summer time is just a different wavelength for many in the field of education. 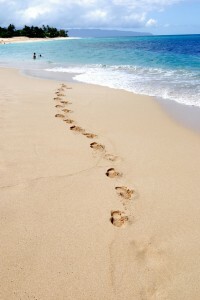 In fact, most teachers I have known, are juggling family time, recreational adventures, and personal professional learning in the few weeks between the wrap up for one school year in May or June, and the preparation for another that may start in the first weeks of August. The idea that educators are basking in a long summer hiatus is a pipe dream. Even in the reboot and recharge mode, teachers are thinking ahead to the challenges of a new set of students, and how to meet their individual needs. Time without required meetings, committees, and assessments is time to reflect on the big picture. What has been successful and what needs improvement? That kind of time is precious during the crush of the school schedule, and summer provides an opportunity for R and R-and collaboration. As teacher librarians we have to make those connections with our colleagues. In a recent AASL Blog, Brooke Ahrens asks, “When is the best time?” In her post, Let’s Get Together Thursday, (June 12, 2014) she shares the experience of working with colleagues in her district in curriculum and program planning just after classes ended for the year. As she says, working together beyond the constraints of standards and grades was refreshing, but mental fatigue influenced their progress. She wonders if August would be better, but realizes that time is problematic also. Collaboration and input are important, but what are some possible alternatives to make it happen? During my years as a teacher librarian, I found that July was a great month for collaborating informally with my colleagues. I would sneak into school early a couple of mornings a week to get my book orders in, unpack books and supplies, or revamp a section of the collection. More often than not, a teacher friend would pop in to say hello. Then the conversation would segue to the upcoming school year and what the teacher wanted to accomplish, and how I could help. Without the pressure of a packed schedule, we could tease out projects that we could plan ahead. Asynchronous collaboration through Google and other social media applications make planning that much easier now. My school district offered summer incentives for curriculum planning, and I often participated as a resource person in science, social studies, and language arts. College credit for curriculum work was available for participants. Laptops or other new devices were provided for developing curriculum units integrating technology. Stipends were offered for teacher leaders who trained others in a train the trainer model. When I signed on to take part, I often found that other teachers saw me as a true colleague, and I felt part of the team. I understood their challenges, and they understood mine because we had a chance to have deep discussions and share expertise. In mid summer, when most of the teachers had a few weeks to unwind, we found mental energy to be creative and innovative. That energy and planning carried us through during the implementation of our ideas in the next school year and beyond. So, in July, take advantage of the summer mind of your colleagues. It may be the best time for initiating collaboration. Join a district summer work group if it is available. They usually only work for a week or so. See if any of your colleagues are lurking in their classrooms when you are at school, too. Laugh, chat, and make a plan. Send out some ideas for new books or resources via email, or your blog or website. Stay in touch through Twitter and Facebook. Find a new application that you can share. Screencast a tutorial or find one on YouTube. Cultivate your garden of ideas and invite your friends to the harvest. Happy summer! And don’t forget your recreational reading! A recent blog post, Cooperation vs Collaboration, I read about a couple of weeks ago has been stuck in my head and I keep coming back to it and re-reading from the school librarian perspective. Of course coming from the school library world I instantly thought of Loertscher’s Taxonomies of the School Library Media Program (2000). “When collaborating, people work together (co-labor) on a single shared goal. Like an orchestra which follows a script everyone has agreed upon and each musician plays their part not for its own sake but to help make something bigger. The rest of the post goes on to talk about differences in the two and how they can be thought of in the context of today’s world – very interesting reading! As I read I was reminded of my own research and distributed leadership. Distributed leadership places an emphasis upon maximizing expertise of teachers and building capacity within the organization (Spillane, Diamond, Burch, Hallett, Jita, & Zoltners, 2002). Distributed leadership can provide leadership that is “fluid and emergent, rather than a fixed phenomenon” (Gronn, 2000, p. 324), where teachers can become leaders at various times and work collaboratively to pool their expertise, vertically and laterally (Muijs & Harris, 2007). This type of leadership is particularly appropriate for school librarians due to their knowledge of pedagogical principles, their global perspective on the school curriculum, their training as information experts, and their experience in collaborating with classroom teachers. School librarians have this unique expertise to contribute. So indeed the school librarian is there to play a part and through their strengths contribute to the bigger goal of academic achievement. But from experience I also know that there is this spontaneous participation that comes with being a school librarian and indeed we “perform” together with teachers while working on common goals with teachers, but we are also working on our goals focusing on creating information literate students. Thoughts from this blog post such as “But today, cooperation is fueling most of the disruptive innovations of our time. In virtually every aspect of our culture, the old guard is being replaced by cooperative, self organizing, distributed systems” make me wonder if it is time that we as school librarians thought about our roles in this context. Perhaps it is time for a change in our thinking – away from the old taxonomies, definitions, and terminology- to taking a new up dated look at what practice looks like in today’s school libraries. Gronn, P. (2000). 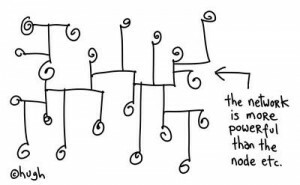 Distributed properties: A new architecture for leadership. Educational Management & Administration, 28(3), 317-38. Loertscher, D. V. (2000). Taxonomies of the School Library Media Program (2nd ed.). Clearfield, UT: LMC Source. Muijs, D., & Harris, A. (2007). Teacher leadership in (in)action: Three cases studies of contrasting schools. Educational Management Administration & Leadership, 35(1), 111-134. Spillane, J. P., Diamond, J. B., Burch, P., Hallett, T., Jita, L., & Zoltners, J. (2002). Managing in the middle: School leaders and the enactment of accountability policy. Educational Policy, 16(5), 731-762. School librarians align the library collection with curricula and provide engaging books and electronic resources that support teachers’ teaching. They coplan and coimplement instruction to integrate literature and information into the classroom curriculum. Along with classroom teachers, they model and promote the behaviors of lifelong learning. The National Education Association image “collaboration is everything” is spot on. When classroom teachers and school librarians coplan and coteach, they provide job-embedded professional development for one another. Teaching together in real time with real students, curriculum, resources, supports, and constraint helps educators become more proficient at their craft. 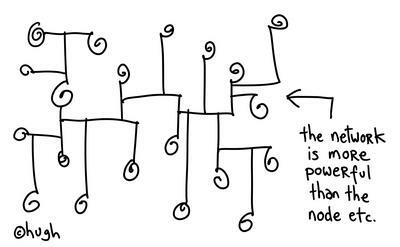 Having a peer to bounce ideas off of and problem solve with is a growth opportunity that every educator should experience. However, in schools without professional school librarians, classroom teachers, principals, and students may be unaware of what they are lacking. For educators who have not experienced the job-embedded professional development benefits provided by collaborating school librarians, I highly recommend Growing Schools: Librarians as Professional Developers (Abilock, Fontichiaro, and Harada 2012). Chapters in this book written by library practitioners and researchers alike highlight some of the many ways school librarians contribute to school improvement efforts. School librarians can help the school learning community reach capacity. Through providing on-site professional development through coteaching, one-on-one faculty mentoring, and ongoing faculty workshops, school librarians are positioned as leaders who can assist principals in achieving their school improvement initiatives and reaching their academic goals for their schools. All educators improve their instructional practices through working side by side with colleagues. On-site, job-embedded professional development is a win-win-win-win model for students, teachers, librarians/specialists, and administrators. All educators deserve this kind of support for their own professional development. With so much pressure on teachers to improve student achievement, having real-time access to professional learning with a school librarian is a social justice issue for educators as well as for students. As Dr. Lankes states, “The greatest asset any library has is a librarian” (29). A professional, 21st-century, collaborating school librarian should be a non-negotiable necessity for every school. Abilock, Debbie, Kristin Fontichiaro, and Violet H. Harada. Eds. 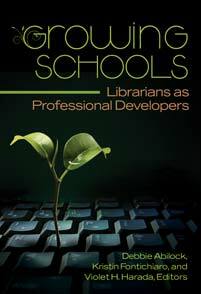 Growing Schools: Librarians as Professional Developers. Santa Barbara, CA: Libraries Unlimited, 2012. Print. Mongeau, Lillian. “How some California schools are overcoming school librarian shortages.” EdSource: Highlighting Strategies for Student Success. 26 May 2014. Web. 2 June 2014. <http://tinyurl.com/CA-lib-staffing>. I have been traveling in the California where I began my career as a classroom teacher. For many years, this state has been at the bottom of the rankings for providing equal access to library resources. In fact, in the 2012-2013 academic year, California employed 804 school librarians, or one certified school librarian for every 7,784 students (Mongeau). Unconscionable! In “How some California schools are overcoming school librarian shortages” written for EdSource: Highlighting Strategies for Student Success (May 2014), reporter Lillian Mongeau provides a snapshot of the uneven distribution of school librarians and libraries in the state’s public schools. The article includes quotes from classroom teachers and students who know the benefits of having a full-time professional school librarian facilitating learning in their school library. 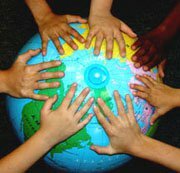 School librarians curate a collection of resources that affirms diversity and aligns with curricula. They know the reading interests of students and match them with engaging books and electronic resources. School librarians promote literature and literacy and provide access to information; they model and teach the behaviors of lifelong learning. Mongeau also notes some compelling statistics that should convince decision-makers and voters to provide funding for school librarians (teacher librarians) in all California schools. Voters in San Francisco Unified School District (SFUSD) passed a Public Education Enrichment Fund (PEEF) in 2004 that provides funding for libraries, sports, fine arts, and other services to which all students should have access; the fund will be voted on again in November 2014. Since the funds have been available, all SFUSD schools libraries are staffed with librarians and children check out three times as many books as they did before the PEEF; the total number of books in circulation is over 1 million titles. Mongeau notes that some districts with a substantial property tax base such as Palo Alto have maintained professional librarians in their schools. Less affluent districts that are more dependent on state funds are currently formulating their PEEF plans for the next academic year. Research shows that the majority of children living in poverty do not have access to reading materials in their homes and do not live near public libraries and bookstores; school libraries help ameliorate this situation (Krashen, Syying, and McQuillan). All children and youth deserve access to vibrant school library resources and programs. It is time to understand this unacceptable unequal state of affairs as a social justice issue. Krashen, Stephen, Lee Syying, and Jeff McQuillan. “An Analysis of the PIRLS (2006) Data: Can the School Library Reduce the Effect of Poverty on Reading Achievement?.” CSLA Journal 34.1 (2010): 26-28. Print.